Women in Games, the not for profit, games industry diversity organisation, today announced the launch of its Ambassador programme, sponsored by Women Techmakers, with 43 individual Ambassadors from across the UK and Europe supporting women and girls in understanding the games industry and the opportunities there are within it. 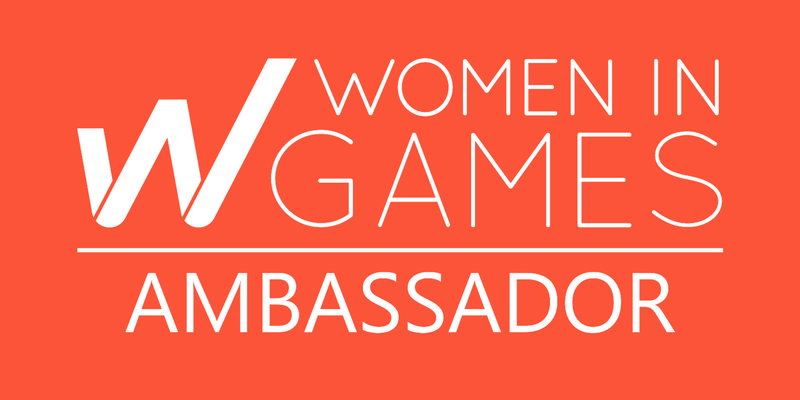 The Ambassador programme from Women in Games exists to grow the membership of the organisation, to help it increase the reach and scale of its programmes and help it achieve the strategic goal of doubling the number of women in games over 10 years. Ambassadors are expected to reach out to young women at school, college and university locally in their region to encourage them to consider the games industry as a career. They will also reach out to the local public, regional industry and educational leaders and local government to form partnerships and long term strategic relationships. Google’s Women Techmakers initiative provides visibility, community, and resources for women in technology, implementing global scalable initiatives to support and empower women in the industry. 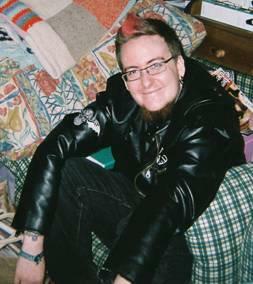 The first Ambassadors for Women in Games are announced today as Alex Jones, Jade Leamcharaskul, Amelia James, Rhoda Daly, Steph McStea, Leoni Smith, Rory Jackson, Terri Mardel, Alex Grahame, Catherine Wooley, Jessica Curry, Adrienne Law, Amanda Blatch, Amrita Bharij, Amy Parish, Amy Yu, Ashley Riza, Becky Jowsey, Bex Edmondson, Carleigh Morgan, Chella Ramanan, Gareth Johns, Hazel Turnbull, Jess Magnus, Jodie Azhar, Karen Cham, Karen Hedger, Kate Killick, Laurence Bouvard, Liz Mercuri, Lorraine Ansell, Maria Fernandes-Hermida, Martine Spaans, Michael Corinus, Michelle Tilley, Monique Boddington, Nida Ahmad, Nika Droravic, Rachael Gregg-Smyth, Sandra Chau, Sharon Toliani-Sage, Tabitha Huchon and Timea Tabori. Give your Steam library a boost with 29 super Steam games for one dollar, exclusively from Bundle Stars. 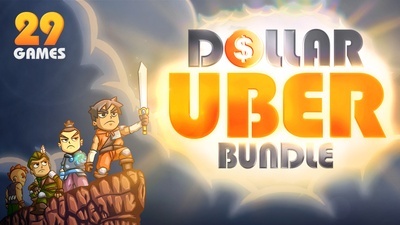 To sweeten an already sugar-coated deal, 21 of the games in the Dollar Uber Bundle (https://www.bundlestars.com/en/bundle/dollar-uber-bundle ) include Steam Trading Cards so you can earn Steam Wallet while you play. Bundle Stars, a leading digital retail store for nearly 5 years, only sells officially-sourced Steam keys. Challenge demons and gods, fight hordes of mutants, pull off the world’s largest heist, explore an immersive dystopian world…all of this awaits you, and much more! If you want even more awesome Steam games for $1, then the first tier of the best-selling Dominator Bundle offers even more bang for your buck! Synchronous multiplayer game developer nWay, alongside Lionsgate (NYSE: LGF.A, LGF.B), a premier next-generation global content leader, and Saban Brands, creators of the iconic Power Rangers franchise, today released the highly anticipated, real-time multiplayer fighting game Power Rangers: Legacy Wars on iOS and Android devices. With detailed models and animations, the fast-paced mobile fighting game allows players to battle against others in real time over LTE or a Wi-Fi network. 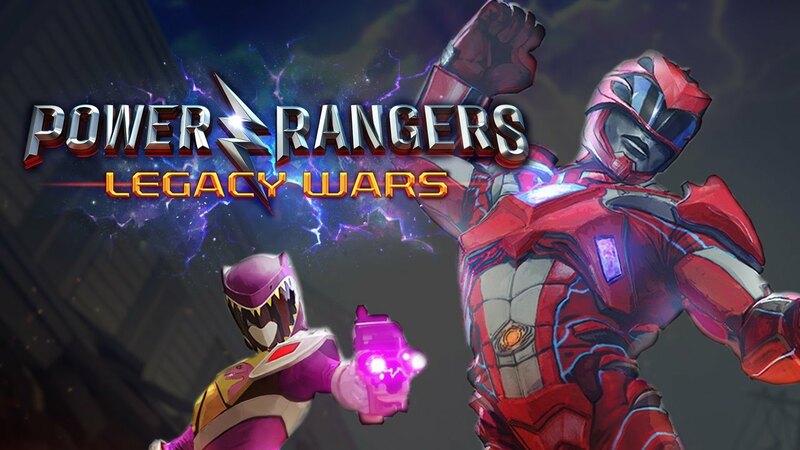 As the first video game to feature Power Rangers from Lionsgate’s highly anticipated feature film, Power Rangers: Legacy Wars is also the first video game to feature iconic, fan-favorite Rangers and villains from Power Rangers’ 24-year history fighting alongside one another. Power Rangers: Legacy Wars features more than 40 characters, 500 different team compositions and 100 unique moves at launch. Each Ranger and villain has distinct animations and attacks specific to that character. Alliance system to chat, trade resources and share tactics with friends and other players online. For more information about Power Rangers: Legacy Wars, please visit PlayLegacyWars.com. Power Rangers: Legacy Wars is available now on iOS and Android app stores. D​ebuting this year as part of the London Games Festival Fringe, Bonus Stage is a brand new indie game showcase featuring 12 hot indie games from London and further afield. The event is free and will take place at Loading Bar in Dalston from 11am till 11pm on Sunday 2nd April. Joe wanted to showcase the hard work of upcoming developers with an event that’s free to attend and free to exhibit at, and so Bonus Stage was born. 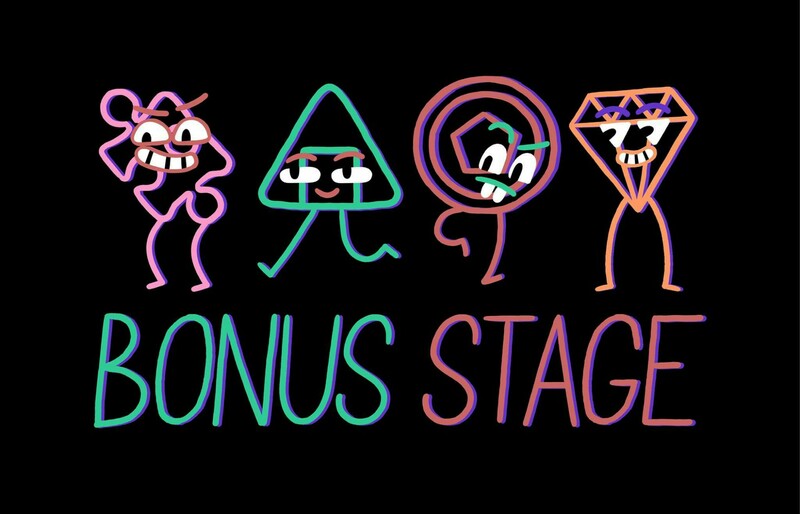 Bonus Stage welcomes you to come along, try out the games, meet the creators, show your support, and maybe even drink a beer! A chuckle worthy line-up of comedians led by Imran Yusuf comes to The Comedy Store London raising the roof and funds for GamesAid. ‘StandUp for GamesAid’, the funniest night in the games industry calendar returns to the legendary Comedy Store in London on May 8th, 2017. Tickets for the consistently sold out show are available right now at £20 (plus £2 booking fee for orders over phone or on website), and all profits will be going straight to GamesAid to help disadvantaged and disabled young people across the UK. Every year, StandUp for GamesAid raises thousands for the umbrella charity, and is the easiest/funniest way for you to help. At its annual Games Industry Market Valuation Breakfast event yesterday, games trade body Ukie revealed the value of UK consumer games market reached a record £4.33bn in 2016, up +1.2% from 2015 figures.The result shows positive growth for the games and interactive entertainment economy, including an +11.1% increase in digital console and PC games sales and an impressive +16.9% rise in UK mobile games revenue – now worth £995m. Overall, software sales in the UK exceeded £3bn for the first time. The consumer release of the first VR headsets has helped fuel the growth of the sector though the sales of VR hardware, included in the market valuation for the first time and valued at £61.3m. The impact of VR was also seen in the sale of top-end graphics cards, driving a huge increase in PC game hardware of +64% to £258m. As the current generation of the console cycle matures, there was an expected reduction in sales of new hardware, down to £507.5m. UK games events have also seen a strong increase, up +20.6% from 2015, fuelled by a growing esports scene in the UK and consumers engaging more with the industry at UK-wide games shows such as popular Insomnia and upcoming EGX Rezzed. The successes of both Pokémon GO and Minecraft were factors in increases for both categories for game-related toys and merchandise, and books and magazines. Toys and merchandise sales increased by +7.2% to £66.8m, with books and magazines increasing +13% to £18.4m. The annual breakfast briefing was attended by industry, media and analysts, and featured lively panel discussions from industry leaders about the state of the UK industry and expected trends in the coming year. Data was collated to build the total Market Valuation using trusted industry data sources including Superdata, GfK, Kantar Worldpanel, Neilsen, NPD, ABC, The Official Charts Company and Ukie. Dr Jo Twist OBE, CEO of Ukie, said, “Our sector is constantly innovating and investing in new experiences, technologies and talent, resulting in the strong and resilient games industry shown in this £4.33bn market valuation. It has been an excellent year for the industry, including the release of first commercially available VR headsets, an exciting year for our national esports scene, and the explosion of the UK mobile market, which is now worth nearly £1bn alone. These statistics will go a long way to reinforcing the message that the UK continues to be a world leading games market, remaining strong in the face of an uncertain political climate. Ukie will continue to use these stats to promote the strength of our sector nationally and worldwide to investors, the media, policy makers and more, to prove that the UK is the best place to make and sell games. Read the full market breakdown here. VR game development on the Unity platform just received a massive productivity boost. Today, KinematicSoup Technologies announced that Scene Fusion now officially supports EditorVR. The announcement was in response to Unity Technologies’ latest update to the platform, released on March 11th, 2017. Scene Fusion is a Unity plug-in that adds real-time collaboration for level design to the Unity engine, which reduces the amount of time it takes to build and ship a game by up to 33%. With the growing popularity of VR, the decision to support it in Scene Fusion was an easy decision for Justin McMichael, CEO of KinematicSoup. Unity launched the first publicly available experimental build of EditorVR for Unity, on December 15, 2016. Since this launch, the team at KinematicSoup has made efforts to ensure Scene Fusion builds have supported the continuous development of EditorVR, and plans to continue this trend. Scene Fusion has been in development since 2015 and has since become popular among many Unity-based game studios. Fans will soon be able to learn more about the KINGDOM HEARTS history with the upcoming release of KINGDOM HEARTS Union χ[Cross], the relaunch of the critically acclaimed mobile RPG formerly known as KINGDOM HEARTS Unchained χ. As part of the free update next month, the game will soon have a new “Union Cross” multiplayer mode and more ways to customize the player’s avatar. With KINGDOM HEARTS Union χ[Cross], players can create teams of six from their party members or through a matchmaking feature to fight hordes of Heartless enemies and powerful bosses. Players can also take on quests of increasing difficulty as well as unique new missions. To help these teams of friends communicate with each other, the game will now include emotes and text bubbles. Players will encounter both familiar and new faces as the story of the Unions continues to unfold, and the new “Theater Mode” will allow players to relive the drama and rewatch cutscenes. Fans can pre-register for the update on the official website (https://form3.square-enix.com/a.p/816/) to obtain exclusive smartphone wallpapers and in-game rewards. To commemorate the relaunch and the one-year anniversary of the original app release, players will also receive in-game presents by logging in after the update. To watch the new opening movie, visit: https://youtu.be/kycDgmjpGsg. 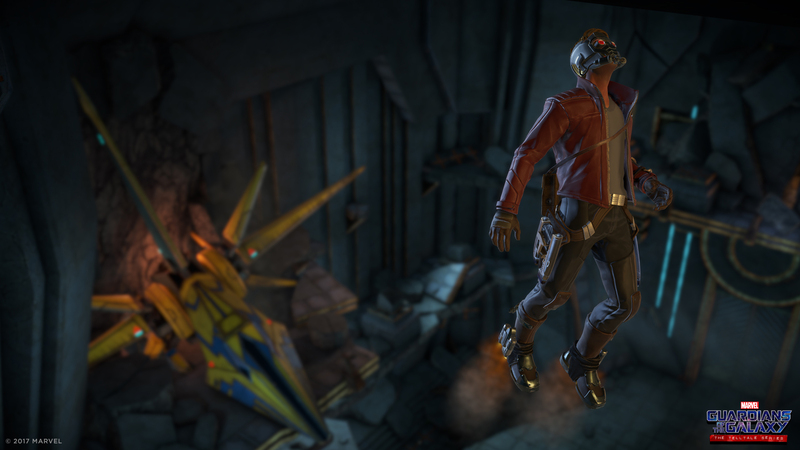 Aw​ard-winning developer and publisher of digital entertainment, Telltale Games, along with Marvel Entertainment, today shared the world-first screenshots and cast details for Marvel’s Guardians of the Galaxy: The Telltale Series, set to premiere digitally this Spring on consoles, PC, and mobile devices. 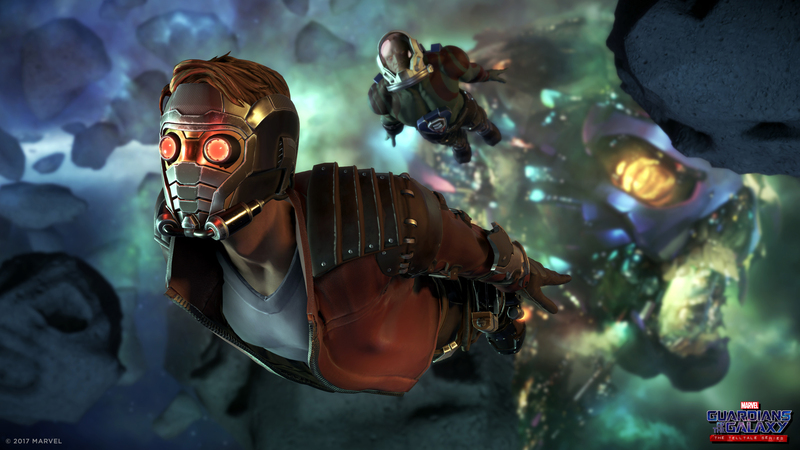 Marvel’s Guardians of the Galaxy: The Telltale Series is a brand new story of the universe’s unlikeliest heroes: Star-Lord, Gamora, Drax, Rocket, and Groot. 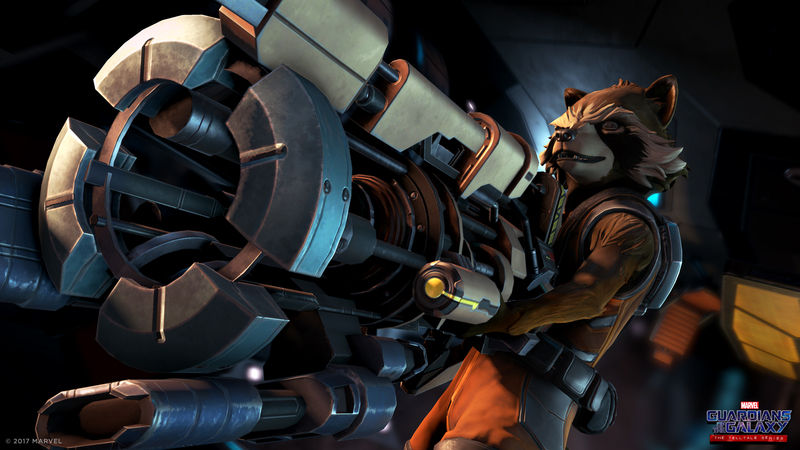 In the wake of an epic battle, the Guardians discover an artifact of unspeakable power. Each of them has a reason to desire this relic, as does a ruthless enemy who is the last of her kind, and who will stop at nothing to tear it from their hands. This week at PAX East in Boston, MA on March 10th at 6pm in the Albatross Theater, join the team from Telltale Games as well as Marvel Games Creative Director, Bill Rosemann, to hear more about the series as they discuss the creative process behind this stellar new adventure. The panel will also be streamed live on Twitch. 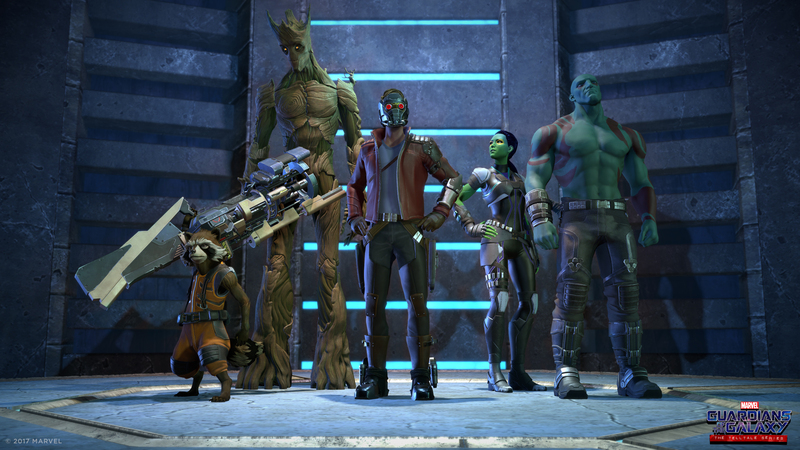 The series will feature a star-studded cast of voice talent, including Scott Porter (Friday Night Lights, The Walking Dead: The Telltale Series) as Star-Lord, Emily O’Brien (The Young and the Restless, Middle Earth: Shadow of Mordor) as Gamora, Nolan North (the Uncharted series, Pretty Little Liars) as Rocket, Brandon Paul Eells (Watch Dogs) as Drax, and Adam Harrington (The Wolf Among Us, League of Legends) as Groot. Premiering this Spring, the series will also be coming to retail as a special season pass disc, which will include the first episode in the season, and will grant access to the subsequent four episodes as they become available for download via online updates. Specific platform details are yet to be announced. Gamers’ charity SpecialEffect announced that GameBlast17 has raised over £100,000 in support their life-changing work for gamers with disabilities. The event, held primarily over the weekend of 24-26 February, saw over 300 individuals, teams and studios undertake a wide variety of personal gaming challenges, including marathon live streams, fundraising forfeits and a successful bid to beat the Guinness World Record for continuous Overwatch play. The headline streaming event was hosted by GAME at their Multiplay Studio, with a 24-hour live broadcast culminating in an auction of gaming merchandise and one-off collectables. As well as support from the head office teams at GAME and Multiplay, over 250 stores across the UK contributed to the fundraising campaign throughout February, pushing the grand total from the group to £28,000 and rising. Gamers with disabilities also took part in the event, including those at the William Merritt Disability Living Centre in Leeds who staged their own 24-hour GameBlast event and raised over £1000. Many of the young people there were using accessible controllers created by SpecialEffect to play games like Minecraft and FIFA17. The other partners whose invaluable support added to the success of GameBlast17 were ukie, Insert Coin, Twitch and FaceIt. The dates for GameBlast18 have been announced as 23-25 February 2018.